As neighboring countries Persia and Armenia have had boundary changes throughout their history. In 387 the Armenian populated Trabi region of Mets Hayk was joined to Persia, thus starting the concept of “Persian Armenians”. The Persian Armenians lived in the basin of Lake Urmia in Her (Khoy), Urmia, Baranduz, Maragha, Gharadagh and elsewhere. Later, in the early 17th century Shah-Abas brought a great number of Armenians to Persia, and they settled down in Ispahan, Peria, Charmahal, Muzhumbar, Shiraz, Tehran, Tabriz and other places. The Armenians established their community life and preserved their national spiritual traditions in those places. They have not been oppressed to language limitations and have founded schools, published books and periodicals. The social, economic and political community developed language and cultural interaction with the Persians. The main means of communication for the Persia Armenians have been the dialects, which are divided into two main groups according to their chronology and linguistic peculiarities. Those groups are a) north or main and b) central or new dialects. The north or main dialects spoken by the Armenians are the dialects of Maku, Khoy, Maragha and Gharadagh. Central or new are called the dialects of Ispahan (New Jugha), Peria, Charmahal as the dialect speakers of that area resettled in the Central parts of Persia. According to their linguistic peculiarities the north or main dialects can be divided into three groups; a) dialect of Khoy and Urmia, b) dialect of Maragha, 3) dialect of Gharadagh. The dialect of Khoy and Urmia is the communication language in Maku, Khoy, Urmia, Salmast and their neighboring Seiravar, Sarna, Haftva, Jujan, Keres, Geardubad, Babar, Naxijevantapa, Isalu, Iknajagh, Rahava, Baranduz, Payajuk, Gharan and other rural areas, as well as in several villages in Igdir and Naxijevan. For the first time R. Patkanyan briefly spoke about the dialect of Khoy in his studies in Russian. Armeniology has several approaches to distinguish the dialects of Khoy, Urmia and Maragha. H. Acharyan noted in his “Armenian Provincial Dictionary”; “The dialect of Khoy is in the translational position between the dialects of Van and Maragha. Its sound rules, phonetic system are similar with the dialect of Van and it is similar to the dialect of Maragha with its grammar”. Then Acharyan concluded that the dialect of Khoy is “clearer than the dialect of Maragha and is closer to the ancient dialect” (“Armenian Provincial Dictionary”, Tiflis, 1913, page 39). As we see H. Acharyan distinguished dialects of Khoy and Maragha and joined the dialects of Urmia and Khoy. M. Asatryan also considered the dialects of Khoy and Urmia as one dialect but A. Gharibyan considered them as separate dialects. According to G. Jahukyan’s multi-attributed classification those dialects form the south-eastern dialect group of Khoy-Maragha or eastern group and they are spoken in Maragha, Urmia, Payajuk and Khoy. While speaking about the dialects of “s” branch A. Gharibyan noted that it is not accurate to consider them as the dialect of Khoy. “The dialect of Urmia being in the intermediate position between the dialects of Khoy and Van exposes its influences from those two dialects. It is closer to the dialect of Khoy with its phonetic system” (A. Gharibyan, Armenian Brief Dialectology, Yerevan, 1941, page 263). The dialect of Urmia, also known as Khoy dialect belongs to the “s” branch of the eastern group. Previously it was considered Maragha subdialect with subbranches of Urmia and Khoy and was spoken in the north-western area of Lake Urmia, in Khoy, Salmast and neighboring areas (H. Petrosyan, Armenianological dictionary, Yerevan, 1987, page 605). M. Asatryan noted in the book “The dialect of Urmia (Khoy)” on page 11 that the two dialects distinguish from each other only with the structure of present tense of the indicative mood. In the dialect of Khoy the present tense is formed with indefinite participle and auxiliary verb (mnal em - I stay, srel em - I sharpen) but in the dialect of Urmia -s is used for the same purpose (nekhes er - he bothers, ases er - he says). Then M. Asatryan observes all the similarities in the phonetic, morphologic, declination, declension systems, the consonant and vowel shifts comapred with grabar (old Armenian). According to it Khoy and Urmia are classified into the first shift of the consonant system, that is to say, grabarian voiced plosives are changed into voiceless consonants (berel>perel-bring, gayl>kel-wolf, dasht>tasht-field, zayn>tsen-voice, jur>chur-water etc). The simple voiceless consonants and aspirates remain unaltered. The diphtongs of grabar change into simple vowels. The cases and the endings remain unchanged too, the ablative case has the ending –en and the locative case has zero ending. There is no difference in the verb system too. The past tenses are formed with adding the particle -er (was, were) to the forms of the present tenses e.g. srer em - srer er (I sharpen-I sharpened) etc. The verbs of -e inclination do not have -ts in their root stems in the Past indefinite, the singular first person gets the ending –m, e.g. sirim (siretsi) I love-I loved, kirim (gretsi) I write - I wrote. Past participle has the ending –r. Regardless of these similarities the dialects of Khoy and Urmia have partial phonetic and morphologic differences. Historically sharing common borders with the dialects of Van and Maragha the dialect of Urmia (Khoy) has similarities with them. It is similar with the dialect of Van in its phonetic system and its grammar is close to the dialect of Maragha (M. Asatryan, page 17). 2) The dialect of Maragha. The land of the Maragha dialect of the eastern group was Maragha settlement to the south eastern part of Lake Urmia. In his book “A New Branch of the Armenian dialects” A. Gharibyan distinguished “l” and “s” branches and classified the dialects of Maragha and Khoy into the “l” branch. H. Acharyan considered them as the dialects of “el” branch because their consonant system is similar to the dialects of Van and Kharabagh and its grammar is based on the sound harmony rule. The Indicative present tense is formed by adding the auxiliary verb to the present pariciple, e.g. uzelim, uzelis, uzeli, uzelink, uzelik, uzelin – I want, you want, he wants, we want, you want, they want. The auxiliary verb -er (was, were) is added to form the past tenses, e.g. uzelim er - he wanted . The dialect of Maragha is in intermediate position between the dialects of Van, Urmia, Khoy and Gharabagh. It has diphthongs, backlingual palatals, h>kh shift, laryngual “gh”. The voiceless fricative “f” is missing in this dialect as in the dialect of Gharabagh. The ablative case is formed with the ending –en. The dialect of Maragha is spoken in the Armenian Republic, Gharabagh, Maragha, the Northern Caucasus and elsewhere. 3) The dialect of Gharadagh: This dialect was spoken in the Armenian inhabited villages of north-western part of Iran such as Seghen, Seyhav, Khasemashen (Ghasmashen), Keyvan, Vinan, Amradul, Ghalaglukh, Vardanashen, Sevahogh, Voghan, Norashen, Urgutin, Gedoydara, Nurushkin, Asran, Megdav, Berdin Yetke, Surun. According to the morphological classification this dialect belongs to the “s” branch of the eastern group, some subdialects belong to “um” branch. According to the statistic classification of various attributes it is a subdivision of Gharabagh dialect and with its vocabulary and grammar it is in the intermediate position between the dialects of Megri and Gharabagh. It has three level unchangeable consonant system, as well as g, kh, k palatal consonants. Besides the Armenian vowels it also has palatal a”, o”, u”. b) The dialect of Nor Jugha is called Central or New because it has been emplimented in Ispahan, Charmahal, Peria and the neighboring Armenian populated villages of Hajarjirib (J’arjirib, Zharzhirib), Khojghala, Boloran, Aznavul, Dajan, Shurishkan, Milakert, Verin (Upper) and Tsadzi (Lower) Khogean, Sangibaran, Bzhgert, Khung, Hadan, Namagert, Gharghun, Svaran, Zigean, Ghalamelik, Sengird, Mughan, Bardalu, Selbardi, Shahbulagh since the early seventeenth century. As known, Shah Abas settled the population of New Jugha in Ispahan and the Armenians called the Armenian block New Jugha. Later on the population of New Jugha left Ispahan, moved to Tehran, Tabriz, Charmahal, Shiraz, other Persian settlements as well as Gharabagh and Armenia. During such resettlements the people of New Jugha gradually forgot their dialect adapting to the local dialects. H. Acharyan presented the history of the dialect, its general description and brought some examples in his book “Study of the Dialect of New Jugha” (Yerevan, 1937). According to it the dialect has voiced consonants, the sonorants have their corresponding simple voiceless consonants. In some cases, some borrowed words have palatal phonemes. The diphthongs are not always preserved. There is h>kh shift, additional “h” before the vowels at the beginning of the word. In general the dialect is close to the dialect of Ararat. The oldest text in the dialect of Jugha is “The Plea of the Armenians” (1658). Tigran Abgaryan from Jugha included that treasure of the language in his work “The Oral Literature of New Jugha”. The Armenians of Shiraz and India also spoke that dialect. At the initial period the dialect of Jugha (Julfa) had the influence of Yerevan dialect, then it completely disappeared. The dialect of New Jugha is spoken in Charmahal but the Armenians have been abandoning the village since the repatriation of 1946. Some of them moved to New Jugha, Tehran and other places of Persia. In 1984 Simeon Babumyan wrote down the vocabulary treasure of his native Charmahal in his work “The Oral Word Treasure of Charmahal”. In the introduction of the written dictionary Babumyan wrote that the dialect had been forgotten and a small number of old people remember it. We get complete information due to V. Andreasyan’s book “The Province of Charmahal” (New Jugha, 1977). The dialect of Charmahal has lots of similarities with the dialect of Ararat. It differs from the Ararat dialect with some sounds, the stress on the words and melody. Charmahal dialect has the voiced “h” specific to New Jugha dialect. The major phoneme shifts are the consonant shifts of ye>e (ergar-long, erkank-grinding stones), vo>o (oski-gold, oskor-bone), v>f (tnoknek-house consecrating, jroknek-water consecrating), h>sh (oshnea ter-bless me, lord). The omission of the auxiliary verbs is significant too; vov asum-who says?, inch asum-what do you say?, ver engi -he fell down, azizn asi- aziz told. Another intersting linguistic phenomenon is that the women pronounced the sound “r” as “y” (mayt-husband, vayt-rose, voydi es eytum-where do you go, menk tayt enk varum-we burn turf, ayt-fieldetc.). The women pronounce “rn” before the vowels and the consonants “m”, “n”, “p”, “k” correctly. Because of the Arab, Turkish, Afghan invasions the Armenians of Persia massively migrated from the country. We present the migration of the dialect speakers according to the dialect registrar of the Institute of Linguistics of the National Academy of Science of the Republic of Armenia. A great number of people included Armenians of Persia inform rich data about the settlemets they lived and the dialect they used. According to the given information and the interviews with the dialect speakers we divide the migration of the Persian Armenians into two main groups; a) the migration to Eastern Armenia during 1827-1828 Russo-Persian war and b) the repatriation of the Persian Armenians during 1946-1947 and the 1970s and 1980s. a) During the 1827-1828 Russo-Persian war lots of Persian Armenians migrated to Eatern Armenia from Maku, Urmia, Khoy, Salmast, Maragha, Gharadagh. They mostly settled down in the Ararat valley and Aragatsotn, and regardless of the strong influence of the Eastern Armenian they communicate with their native dialects. The dialect of Khoy is especially vivid. According to the records we have the following picture. The population of Khoy, Salmast, Maragha have settled down in the settlements in Artashat (Azatavan, Mrgavan, Kanachut, Mkhchyan, Aygezard, N. Dvin, Aygestan, Vostan, Shahumyan, Getazat, Mrgashat, Burastan), in Armavir, Kotayk (Ptghni, Balahovit, Dzoraghbyur), Vayk, Yeghegnadzor (Yegegis, Vernashen, Gnishik, Areni, Aghavnadzor, Rind, Gndevaz, Kechut), Sisian (Voyts), Echmiadzin (Aghavnatun, Haytagh, Nerkin Khatunarkh, Norakert), Masis (Ayntap), Ashtarak (Byurakan, Antaramut). The inhabitants of the vilage of Kamaris in Abovyan region called themselves new Armenians and have migrated from Jugha and Khoy. Most of the inhabitants of the village Hin (Old) Taghlar of Hadrut region have migrated from Khoy-Salmast. So far the expressions of g’elmak (new comers) and ghrbghetsik (people of Gharabagh) have been in use. Some of the people are new comers from Gharadagh. The population of the villages of Ka’ra’kezi and Ba’dilboy of Urmia have migrated to Artashat. The population of the villages of Nors and Kyagh of New Jugha have migrated from Salmast, the poulation of Giumur have migrated from the village of Keres of Khoy. The people of Keres migrated to Karaglukh, Ayar of Yeghegnadzor region and to the village of Mazra of Sisian region. During the Russo-Persian war the Persian Armenians moved to the village of Khachik but they have lost their dialect in the new language environment. Because of the influence of the local dialects and literary Easten Armenian the dialect of Khoy was forgotten in the settlements of Argavand in Armavir region and the village of Zovuni in Aparan. In 1662 after the natural disater the survivors of the village of Paradash of Julfa founded the village Sor which later became the settlement for many new comers from Salmast. According to the legend the founders of Khndzoresk village of Goris also came from Persia but before founding the city they lived in the caves. The Armenians of Maku migrated to Zoraglukh village of Aparan, Tsakhkalanj village of Echmiadzin, Ohanavan village of Ashtarak, from Kharan village of Maku to Vardenis village of Aparan. In general, the refugees of Maku moving to the new settlemets inhabited with people of Moush, Van, Bayazet did not preserve their dialect and communicated with a new type of dialect. A part of the Maragha dwellers moved to Gharabagh and founded the new settlement of Maragha in Martakert, another group moved to Aza village of New Jugha and to the village of Avan near Yerevan, the rest despersed to different directions and assimilated among the speakers of the dialects of Urmia and Khoy. The Armenians of Gharadagh moved to Tabriz, Tehran, Tiflis, to the North Caucasus and other places. The population of Ghasmashen and Keyvan villages of the region Gharadagh settled in Abovyan and Janeatagh of Martakert. The dialect speakers of Hazarjirib of Peria resettled in Echmiadzin, and the Armenians of Dajan moved to Mrgastan of Artashat region. The population of Sara, Hafteva, Seyravar of Khoy migrated to Ayntap of Masis region and Mrgashat of Artashat region. The Armenians of Boloran, Milakert, Shurishkan villages of Peria resettled in New Yerzinka of Ashtarak, Nerkin Khatunarkh of Echmiadzin region. The Armenians of Aghbulagh, Mamuran, Veri and Tsadzi Livasian, Machigan, Mamuka, Hajiabad, Sirak, Boldaji, Gapla Gyurji villages of Charmahal moved to Nalbandyan village of Armavir region, Armash village of Ararat region. There are also newcomers from Shavrava village of Nerkin Burvar to Armash. The Armenians from Dovlataberd and Verin Krder of Kearvand resettled in Aratashen village of Echmiadzin region. The Armenians from Gharakeariz, Farajabad (Kharaabad), Deynov, Nasrabad, Khorzend, Chardasha Armenian populated villages of Verin Burvar (Sallaki) region moved to Echmiadzin, Musaler, Barzrashen and other places. In 1946 the Armenians of Gharakyaris village of Small Burvar migrated to Mkhchyan village of Artashat region. The Armenians of Vinan, Veghan, Amragol, Svaveghe, Kerkelokhe, Gyndemna, Nepesht, Kelela, Gymnavegh settlements of Mamadianlu moved to different directions sch as to Tehran, former USSR and Ararat valley. The Armenians of Sagibaran, Khung, Namagerd, Gharghun settlements of Peria came to Hrazdan and Artashat. The newcomers from Hazarjirib, Boloran, Khogyan, Namagerd, Shurishkan, Hadan, Milakert, Sangibaran, Dajan settled in the city of Ashtarak. 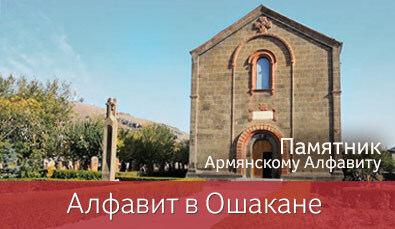 New Persian Armenians came to Ashtarak in the 1970s and 1980s. The second wave of the repatriation was in the 1970s and 1980s. In 1982 the Armenians of Ka”ra”kzi village of Urmia repatriated to Artashat, in 1981 the Ba”dilbo” village dweller of Nazlu Chay region moved to Artashat. In 1946 the Armenians of Marzieyan village of Gapla migrated to Kirov sovkhoz of Ararat region, to Ararat valley to the villages of Zarna, Poshta, Azna, Hajiava, Gurji, Kyert. There are Armenians from Kerte of Sultanabad in Musaler, in the Fourth sovkhoz of Echmiadzin region, in various villages of Ararat and Artashat regions. In 1846 Prchestan dweller Armenians came to Azatavan village of the region Artashat, Husseinavan dwellers came to Musaler, Kakhsravan of Verin Artashat, and the majority to Iyva in Artashat region. The newcomers from Milakert of Peria resettled in Masis. In present period of the development of the Armenian language the Armenians living in Persia do not speak dialect. The Persian Armenians communicate with modern literary Eastern Armenian with specific articulation. It can be explained by the influence of the sound system of the forgotten dialects, as well as the influence of the Persian environment. Acharyan H. Y., Armenian dialectology, Moscow-New New Jugha, 1911. Acharyan H. Y., Armenian Provincial Dictionary, Tiflis, 1913. Acharyan H.Y., Study of Maragha dialect, Yerevan, 1926. Acharyan H.Y., Study of Maragha dialect, Yerevan, 1944. Asatryan M. E., The dialect of Urmia (Khoy), Yerevan, 1962. Grigoryan A. V., The course of the Armenian dialectology, Yerevan, 1957. Davrizhetsi Arakel, History, Yerevan, 1983. Gharibyan A. S., A New Branch of the Armenian dialects, YSU “Scientific Studies”, vol. 11, 1939.